Turkey: Can PM-turned-President Recep Tayyip Erdogan’s AK Party continue to consolidate its electoral mandate in the assembly (and consolidate power to the presidency instead of the prime minister’s office) in the face of mounting questions about the government’s Syria policy, Kurdish policy, family policies, and general authoritarian trends? Mathematically, even without any authoritarianism, the answer is probably yes. Should they? That’s a trickier question. Afghanistan: Can Afghanistan successfully hold legislative elections with a significantly scaled-back coalition security footprint? Will the outcome be less messy than the presidential result? Canada: While it feels like Stephen Harper has been Prime Minister of Canada for about a century at this point, it turns out he has only been in the top job since February 2006. The Canadian left has been too fractured to overcome his weak political position, despite repeated efforts in and between elections. The two big center-left parties have new leaders now, however, and the once-broken Liberals (who finished 3rd last time) may stage a comeback under the son of a former Prime Minister – specifically the longest serving and perhaps most famous of all Canadian Prime Ministers. The big questions for the rest of the world are simple: Will Canadian voters reject the increasingly militarized foreign policy of the Harper Administration and will they seek to reverse Alberta’s hold on the country’s environmental and energy policies? In the end, they may just re-elect him. Argentina: President Cristina Fernández de Kirchner is term-limited out of seeking re-election again and her iconoclastic husband Néstor Kirchner passed away unexpectedly in 2010, ending a grand plan to keep trading the executive office back and forth for four full terms. Their party and their followers (“kirchnerists”) are splintering into multiple camps, in the absence of an actual Kirchner on the ballot. Is Argentina’s Age of Kirchner – and its battles with the international finance system (still recently ongoing) – coming to a close? Spain: Having transitioned to democracy at a similar time as Greece and now facing many of the same challenges vis-à-vis the European Union and eurozone membership, similar questions arise on Spain. All eyes are on Spain’s own newcomer party, Podemos, which promises a much more radical – and perhaps infeasible within the constraints of the EU – agenda from the left. Will they shake up Spain’s politics? Almost certainly. But it remains to be seen whether that will be from the cabinet room or in the opposition against a grand left-right coalition determined to uphold the status quo. The fate of Podemos at the end of 2015 in Spain also likely hinges in large part on how Syriza fares in Greece’s elections at the start – and how the EU reacts if Syriza forms a government. 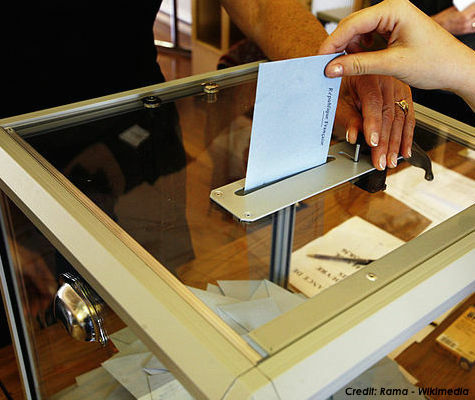 Democratic governance faces pivot points in national elections scheduled in Europe, Africa, Asia, and the Americas in 2015. However, amid all the dire news, one bright spot has already shone like a beacon in 2015. Earlier in January, Sri Lanka unexpectedly voted out its strongman president in early elections that posed some very serious questions to voters, promoting his former health minister instead. He departed the next morning after failing to rally support for a coup. Positive change at the ballot box remains possible. A condensed (top 5) version of this post appeared in The Globalist. Tagged 2015 Denmark elections, 2015 Nigerian elections, Afghanistan, Argentina, Burkina Faso, Burma (Myanmar), Canada, democracy, Denmark, Estonia, Greece, June 2015 Turkish elections, Mexico, Nigeria, Poland, Spain, Turkey, United Kingdom.